SketchUp stays at the top place when it comes to the 3D modeling applications. 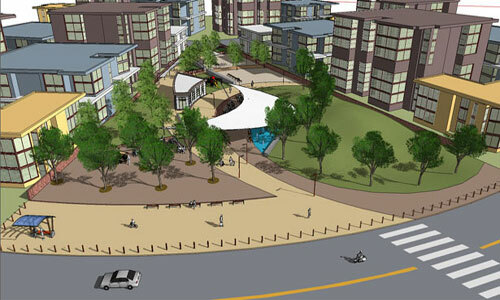 Smartly and easily, SketchUp performs the tasks that need less knowledge and more imagination. But, complex 3D models are always hard to understand, and simplifying which needs your proficient skills. SketchUp also runs slow when it deals with a large model containing complex structures. The content discloses tricks and tips that help you sketch big designs easily in the software application. It has a certain set of rules that the designers must follow while designing. These rules are not mandatory though. They are the answer to how to use SketchUp in the best way. This SketchUp tutorial includes a series of good habits that play an important role while designing a complex structure. Configuring a template is necessary that cuts down the time taken for designing complex things. It is always an advisable option to create your own template that contains all configured things for your use. To save the template, go to the File option and choose Save As. Add relevant information such as name and description of the template and click the Save button. The saving process will differ as per the version and the operating system you use. Choose your Unit: Things will go easier if you follow units of measurement for your designs. This allows you to use the models from SketchUp Warehouse without rescaling the object. It is the best option and sounds effective when you are using Warehouse for your model. The most-used layers must be saved for the future use as it gives you an instant access to the configuration of your need. With this, you can ignore the recreating of the same layer which is definitely time-consuming. Erasing unnecessary elements is an unspoken rule of any designing application. For SketchUp, you need to erase the default model and elements from the template before starting your work. you can also delete the default figure from the original template. To automatically delete the unneeded details, click the Detail icon in layers, components, material and style and choose the purge option. Knowing keyboard short-cut will help you increase your productivity while cutting down the time taken for your design. Remember the keyboard short-cut of the most-used tool that provides you with an easy access to the feature you are going to use, eliminating the need for clicks. Configuring the needed application as per your preference will help you complete the work without repeating the same thing you have done before. This will be a needed step for designing a large and complex model. besides the above-mentioned tools, a few applications are still there that need to be configured. The content is prepared from a popular book – Google SketchUp Workshop by Laurent Brixius.